Johnson, David R, and Laura Gough. “Two Arctic Tundra Graminoids Differ In Tolerance To Herbivory When Grown With Added Soil Nutrients”. Botany 91, no. 2. Botany (2013): 82-90. doi:10.1139/cjb-2012-0143. Johnson, David R, Mark J Lara, Gaius R Shaver, G. O Batzli, J. D Shaw, and Craig E Tweedie. “Exclusion Of Brown Lemmings Reduces Vascular Plant Cover And Biomass In Arctic Coastal Tundra: Resampling Of A 50+ Year Herbivore Exclosure Experiment Near Barrow, Alaska”. Environmental Research Letters 6, no. 4. Environmental Research Letters (2011): 8pp. doi:10.1088/1748-9326/6/4/045507. Johnson, David R. “How Herbivores Affect Plant Growth, Community Structure And Litter Decomposition In Alaskan Tundra: Implications For Responses To Climate Change”. Biology. Biology. University of Texas at Arlington, 2008. http://hdl.handle.net/10106/1048. Gough, Laura, K. Shrestha, David R Johnson, and B. Moon. “Long-Term Mammalian Herbivory And Nutrient Addition Alter Lichen Community Structure In Alaskan Dry Heath Tundra”. Arctic, Antarctic And Alpine Research 40, no. 1. Arctic, Antarctic And Alpine Research (2008): 65-73. doi:10.1657/1523-0430(06-087)%5BGough%5D2.0.Co;2. Gough, Laura, E. A Ramsey, and David R Johnson. 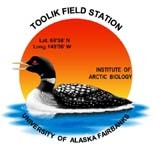 “Plant-Herbivore Interactions In Alaskan Arctic Tundra Change With Soil Nutrient Availability”. Oikos 116, no. 3. Oikos (2007): 407-418. doi:10.1111/j.0030-1299.2007.15449.x.